Researchers at Johns Hopkins University in Baltimore found that visual function in MS patients correlates with cognitive function ands suggests that disease severity and outcomes of neuroprotective therapies in MS patients may be assessed through visual function measurements. The findings were recently presented in the oral presentation “Anterior Visual Pathway Measures Are Strongly Associated with Cognitive Function in Multiple Sclerosis,” during the June 1-4 Consortium of Multiple Sclerosis Centers (CMSC) 2016 Annual Meeting, in Maryland. Optical coherence tomography (OCT) is a noninvasive diagnostic tool that uses near infrared light to provide cross-sectional images of the retinal architecture, which enables the quantitative measurement of retinal conditions, such as ganglion cell and inner plexiform layer (GCIP) thickness. It is known that in MS patients, GCIP thickness is associated with visual function, gray matter volume, and disability, as measured by the Expanded Disability Status Scale (EDSS) scores. Whether GCIP thickness and visual function are related to cognitive function had been unknown to date. Researchers aimed to unravel GCIP thickness and visual function correlated with cognitive measures. The study enrolled 130 participants, 97 of whom had relapsing-remitting MS (RRMS), and 33 had progressive MS. Patients were subjected to OCT and a contrast letter acuity test; cognitive function was assessed through Multiple Sclerosis Functional Composite (MSFC), California Verbal Learning Test-II (CVLT-II), Single Digit Modalities Test (SDMT), and Brief Visuospatial Memory Test-Revised (BVMT-R). Results demonstrated that patients with RRMS, but not progressive MS, exhibited significant associations between GCIP thickness and both MSFC and BVMT-R scores. Similarly, contrast letter acuity test scores were also associated with MSFC and BVMT-R scores in RRMS, but not progressive MS. The associations were restricted to patients without a history of optic neuritis, a demyelinating inflammation of the optic nerve. The results suggested that the anterior visual pathway function is associated with cognitive function in MS patients. 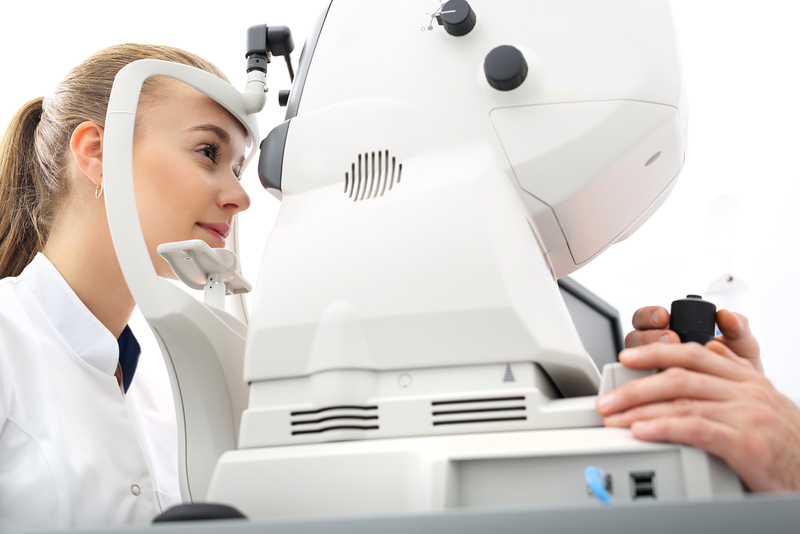 In RRMS patients without a history of optic neuritis, GCIP thickness and contrast letter acuity scores may prove to be useful tools in the measurement of global disease aspects, and in providing information on the outcomes of neuroprotective therapies in clinical trials for patients with MS.